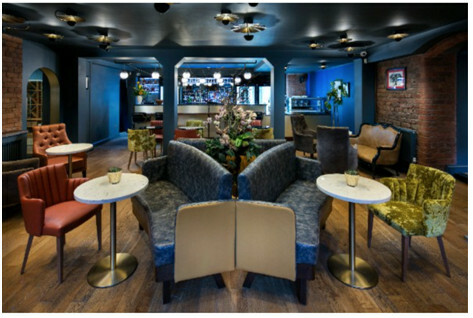 The Cellars offically opened on the 21st September 2017 following an extensive refurbishment project. The Cellars can be accessed for pre or post dinner drinks through a sympathetically restored old Victorian linkway from the main restaurant. The subtly lit corridor ensures guests can access the sumptuous surroundings without having to brave the external elements. They are also accessed from a below street level entrance on the corner of Sugnall and Myrtle street. The Cellars are also receiving the plaudits from guests not dining at the restaurant but looking for somewhere special to enjoy a glass of fine wine. Chef Patron, Paul Askew said "I'm delighted the Cellar has been so well received. It has been lovely to see so many new faces in the Champagne bar and also to see so many of our regular guests enjoying what we've created". Open from 2pm - 12pm Tuesday to Thursday and from 2pm to 2am Friday and Saturday guests are not required to make a reservation. Already a talking point is the Cellars Private tasting room table (pictured). 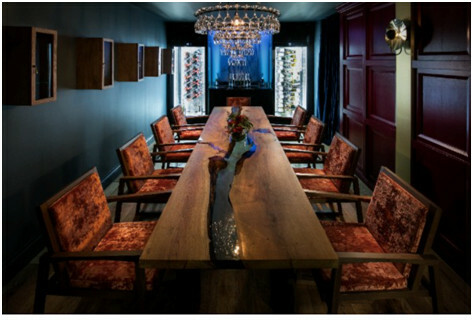 Accessed via a walk through temperature controlled cellar displaying our extensive selection of red wines, the private tasting room is available to book for Sommelier led tutored tastings. To book this experience you may speak to a member of our team on 0151 230 8600. This high end, 50 cover fine dining restaurant and bar only uses the finest produce and ingredients perfectly accompanied by some very fine individuals indeed. Head Chef Paul Askew is reaching for the stars with the finest that Liverpool has to offer.